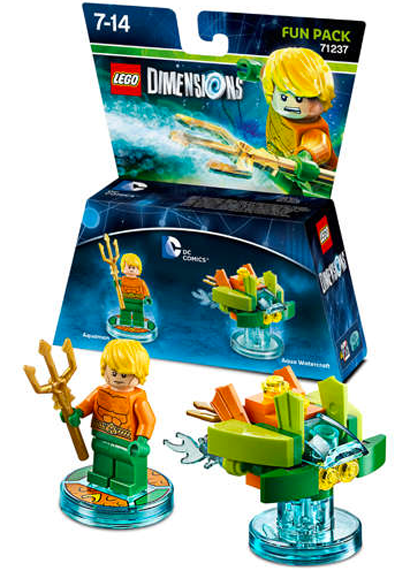 Lego has embraced Aquaman like few companies, here's another fine example of a Sea King-centric Lego toy. These Lego Dimension Fun Packs retail for around ten bucks or so, not a bad price for what you get! Got one of these a few weeks back on Amazon! For all of $8, I think. It's cute. Back of box shows three possible water vehicles from the same pieces. No instructions inside for them 'cause they show up onscreen when you use the Lego Dimensions thing (which I don't have), but the step-by-steps have also been posted on YouTube.